TASK AT HAND: This week I’m thinking about long-term plans. Strategy based on delayed gratification and personal investment. Plans that require patience, pragmatism, and perseverance. Playing the long game. Taking the long road. 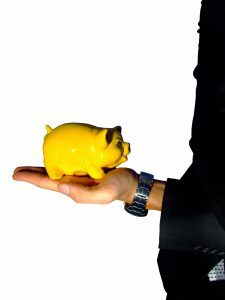 We are endlessly inundated with short sells, quick fixes, and the lure of easy money. These are but myths, blasted on billboards, and endlessly running on our screens. Beware of those selling overnight success; sometimes they work, but most times they do not. Behind the overnight success, you can usually find years of work and dedication. With everyone working the fast hustle, don’t be afraid to contradict and make long-term plans. Instead, hone strategy that takes time and consequence to develop. Having a long-term plan dramatically increases your chances of success solely because most are playing some version of the fast hustle. Obsession with overnight success. The want for short-term success is rooted in the desire to avoid pain. It is much easier to create a flash in the pan than stoke a fire. Inherent within us is a low baseline threshold for pain. This is a biological design so that we don’t get hurt. But don’t let this biology disrupt your ability to navigate complexities that require time. We all know those who start out on a plan, only to abandon it as soon as they feel pain. Discomfort forces a switch to another project. I have found that one must train and accept that negative short-term pain is acceptable. It is merely a method to make us slow down and take notice. Then, upon realizing this, we can evaluate and look to overcome. It is a necessary (painful!) reminder of importance. Planning for the long road. Personally, “we don’t mature momentarily, but over the long-term” (John C. Maxwell). Having long-term plans gives you significant advantages due to increased maturity and improved comprehension of the emotional intelligence inherent in relationships. In professional life, remember that “good decisions can have bad short-term outcomes but be great for the business long-term” (Gerry Schwartz). Excessive focus on short-term gains – and the inability to sustain short-term pain – can hinder your ability to prepare for long-term survival as business landscapes evolve. 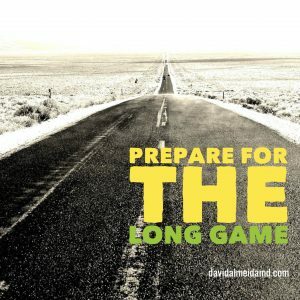 How do you survive the long-term plan? Patience, perseverance, pragmatism. And when failure occurs, “keep your face always toward the sunshine – and shadows will fall behind you” (Walt Whitman). Night will come, and with it, darkness and doubt. Keep walking, and surely if you play the long game, you will see the sun come up again, and the shadows will once again fall behind you. 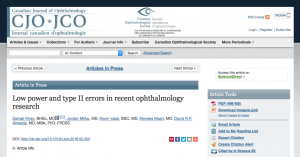 MEDICINE & MACULA: Check out our new publication in the September 2016 issue of the Canadian Journal of Ophthalmology entitled, Low power and type II errors in recent ophthalmology research (Zainab Khan MD, Jordan Milko MD, Munir Iqbal MD, Moness Masri MD & David RP Almeida MD MBA PhD). We show that a large proportion of randomized clinic trials contain statistical errors. The results of the studies have dramatic effects on day-to-day clinical practice and need to be designed and evaluated carefully. Check out the publication here. TASK AT HAND: This week I’m thinking about failure. A word associated with massive negative connotation. Imbedded within insecurity, fear of failure enforces the concept that we need to avoid failure if want to be successful. That failure is for the weak and lazy. That if you are intelligent and industrious, failure can be avoided. This is wrong and ignorant. Failure – and how we cope with it’s force – is of crucial importance to our character development. Why is failure important? Failure is part of the iterative process of learning. Like trial-and-error, it is a basic process that we master in order to develop higher forms of reasoning and decision making. Thomas A. Edison writes, “I have not failed. 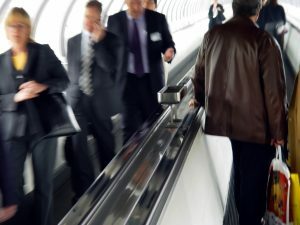 I’ve just found 10,000 ways that won’t work.” Failure allows us to improve processes and techniques and is essential to the learning of individuals, growth of organizations, and coherence of cultures. “Ever tried. Ever failed. No matter. Try Again. Fail again. Fail better”; these words by Samuel Beckett see failure as this fundamental process of learning. Why is fear of failure debilitating? The shame of failure comes from the pervasive negative assumption that failure is an ultimate end. In truth, failure is just another step in the process. I’m a vitreoretinal surgeon and I regularly operate on blinding diseases. I am humbled by the eye and the gravity of complications that may, without notice, occur during surgery. I orchestrate every movement to avoid complications, but I do not fear them. If so, I would be paralyzed with fear and overwhelmed by the weight of possibility. 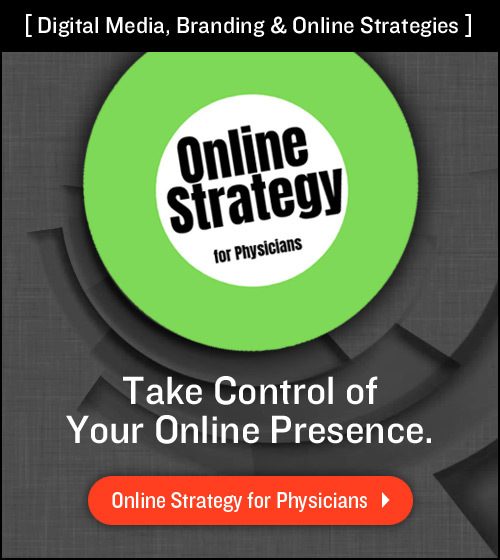 This would dramatically hinder my performance and limit my ability to help patients. Show me a surgeon with no complications, and I’ll show you a surgeon who never operates. Failures are not final but part of evolving solutions and strategies. 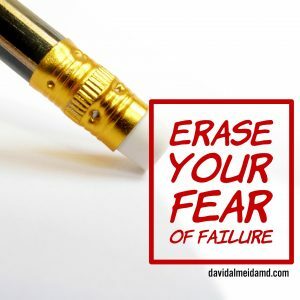 How can you erase your fear of failure? If you fail at something, the first step is to give yourself the opportunity to learn from it. There is a twisted irony in the failure to learn from your failures. Don’t do this. Take ownership of your failure. “A man can fail many times, but he isn’t a failure until he begins to blame somebody else” (John Burroughs). Realize your error. Take ownership of the failure. Accept responsibility for the consequences. This provides you with immense learning. See this as a temporary event and in no way a synopsis of your life. 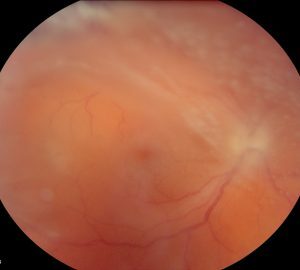 MEDICINE & MACULA: Check out our new feature in the September 2016 issue of Retina Today entitled, Postoperative Infectious Endophthalmitis: Evolving Trends and Techniques. Infectious endophthalmitis is a vision-threatening condition that involves inflammation of the entire eye. 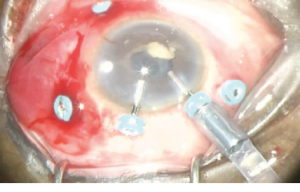 Early vitrectomy for endophthalmitis provides significant benefit in removing infectious material. 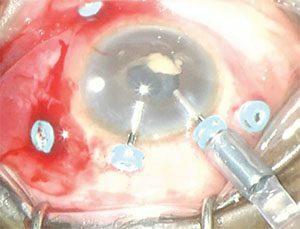 We describe how vitreoretinal practices have changed with the adoption of small-gauge surgery. Check out the publication and video here. GRATIS: If you’re not failing often, you’re not trying hard enough. 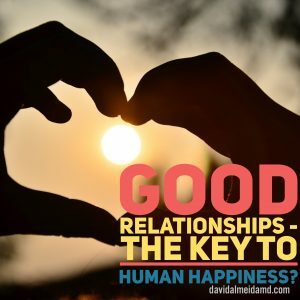 TASK AT HAND: This week I’m thinking about relationships after reading Harvard’s 75-year study of human happiness. Called the Study of Adult Development at the Harvard Medical School, but better known as the Grant Study, this recently published investigation is the longest-running study of human happiness. You can find the study here. The Grant Study began in 1938 as a counterpoint to the disease model of medicine and sought to ascertain the conditions that enhance wellbeing or happiness. It followed the lives of 268 healthy sophomores from the Harvard classes between 1939 and 1944. There is no other study like it in length of follow-up. The conclusion after 75 years of study: good relationships make us happier and healthier! There is of course significant bias in a study with a homogenous population based entirely on privileged white men. While the latter serves to emphasize the need to critically interpret any piece of information, it reminds me that relationships – how we collide and interact with others – has the potential for massive impact on our happiness and health. Relationships are complex, but there are certain strategies that give you the best chance of cultivating a matter of significance with other people and groups. 1. Enter relationships without expectations. Entering a relationship with expectation is akin to degrading human encounter to transaction. 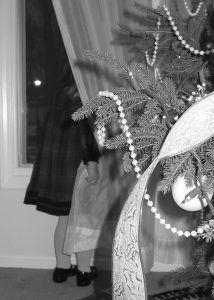 As I’ve written before on anticipation (see here) – rather than expecting – look to give. “Relationships based on obligation lack dignity” (Wayne Dyer), so enter them openly, without bias, and contribute rather than collect. 2. Everybody hurts. REM was right. If you enter a relationship with honesty, there is always the chance of getting hurt in the process. Bob Marley’s words: “truth is everybody is going to hurt you: you just gotta find the ones worth suffering for” strikes at this chord. Committing with honesty is an exemplary way to build relationships. “Be honest, brutally honest. That is what’s going to maintain relationships” (Lauryn Hill). 3. Work at it! Relationships require work. In the economics of human emotions, a zero-sum game is of no value. A balanced budget has no use. There is an ebb-and-flow that occurs with communication – and you have to work at this. Failure to communicate leads to failed relationships. When communication and conversation stall, remember: “you can discover more about a person in an hour of play than in a year of conversation” (Plato). Every young child knows the meaning of these ancient words. I have learned this principle best from my children. Enter relationships without expectation. Don’t be afraid of getting hurt. Cultivate, communicate and work towards building strong relationships. With this, I hope you find some elements of happiness. 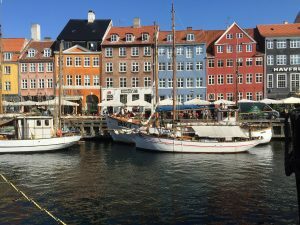 MEDICINE & MACULA: I’m in Copenhagen, Denmark this week for the EURETINA annual meeting – one of my favorite meetings! I love conversing and contrasting new therapies and techniques with my European and International colleagues. Yesterday I presented two talks and enjoyed the discussion immensely. 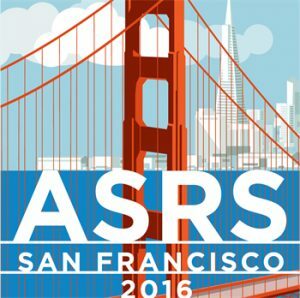 I presented, Comparison of microbiology and visual outcomes of patients undergoing small-gauge and 20-gauge vitrectomy for endophthalmitis in one of the morning sessions and Long-term outcomes in patients undergoing vitrectomy for retinal detachment due to viral retinitis in the afternoon session. Thanks EURETINA! GRATIS: I have discovered the concept of hygge in modern Copenhagen. It is of serious gravity here! The best English word seems to be “cozy” or “coziness”. It’s about feeling comfortable like one is at home or in a “homely state”. Thank you Copenhagen! 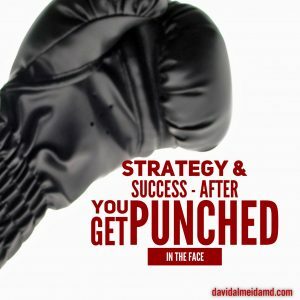 TASK AT HAND: This week I’m thinking about strategy setbacks. 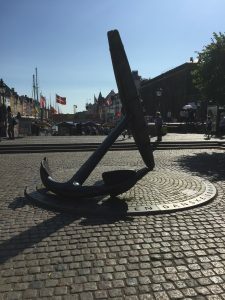 We all have to soothe the bumps, bruises, blisters and burns associated with negotiating the often rocky landscape of our evolving strategies on the way to successful solutions. But what happens when you hit a wall with your strategy? Or as Mike Tyson aptly summarizes – what happens when you and your plan get punched in the mouth? As much as your strategy may be well-being, it’s at this point that we must clarify core principles to break through. What do you do when your best laid plans, your carefully tailored approach, your curated strategy stall? I have found 3 approaches to help navigate these difficult times. 2. When you get hit, be receptive and flexible. This is counter-intuitive because the first reaction is to get defensive. The ability to be receptive allows you to discover what details you missed. Then, flexibility allows you to adapt your strategy to the new conditions. Being flexible does not mean quitting on your plan. “Take things as they are. Punch when you have to punch. Kick when you have to kick” (Bruce Lee). Be open and receptive but remain committed. This is counter-intuitive but is of immense advantage. 3. 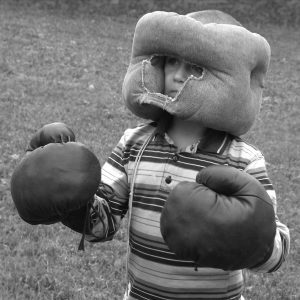 The ability to take a punch is good, but the ability to avoid one is best. Your ability to navigate assaults is a defining property of your defensive strategic framework. “In the battle of existence, talent is the punch; tact is the clever footwork” (Wilson Mizner). Your strategy is your footwork – it will provide you with the needed defence for when you under duress, and it will allow you to counter when an opening occurs. In chemistry, a transition state is a temporary high-energy configuration existing between two stable forms. The transition state corresponds to the highest potential energy along a reaction path. It is often violent and tumultuous but the potential energy allows for the formation of new stable forms. Think of these periods of your life – times of setbacks and shock – as transition states and look for ways to harness the potential energy to form an improved baseline. MEDICINE & MACULA: Check out our most recent publication, Retinal Injury Secondary to Laser Pointers in Paediatric Patients. 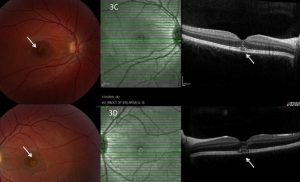 Our study describes children who had laser-related retinal injury to the macula due to the mishandling of the laser pointer devices. Thank you Pediatrics for publishing our study! Check out the study here. 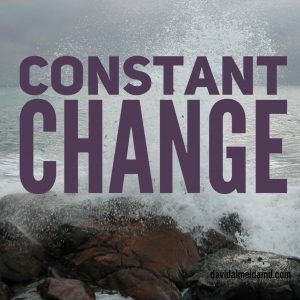 GRATIS: There is no shame in taking a punch, and there is much character growth in our ability to transition into an improved form during the difficult transition states. However, there may be times where you find yourself constantly under assault. If this occurs, you may have to punch back. Unfortunately, this is the only currency some understand. TASK AT HAND: This week I’m thinking about the company we keep and the people that influence us. 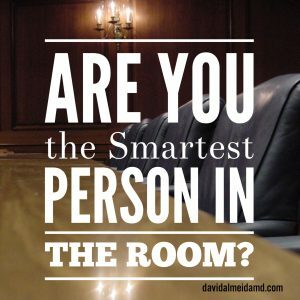 There is a sentiment that we should strive to be the smartest person in the room. That this is a worthy goal to aspire to. That, somehow, if we are the “smartest” or “best” in the room, we will be able to exert influence or hold power over those around us. And thus, we will be successful. This is a dangerous myth! As the opening quote states, if you are the smartest person in the room, turn around, exit the room, and run – as fast as possible – in the opposite direction! I’m often asked if this advice should be applied to professional relationships, or personal ones as well. In my opinion, you should apply this advice in its most general form: find people that will challenge and encourage you to grow. 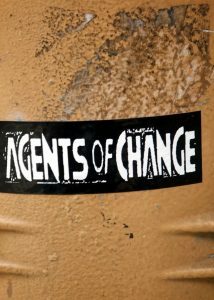 Find groups that will contribute to your proficiency and petitions. Avoid the fallacy of superiority – which is seeded in insecurity – by denying the need to be the smartest in the group. Instead, look to develop yourself by surrounding yourself with thoughtful and creative characters. When it comes to coworkers, Donny Deutsch surmised it best: “my philosophy is to always find the smartest people you can. Hire people smarter than you.” The idea here is simple – but of utmost importance – you must surround yourself with colleagues and coworkers of the highest caliber possible. Whether you are in a small business or a large organization, collaborations should always have you reaching up! The simplest path to this growth is by surrounding yourself with those that have varied vantage points and see problems differently than you. Why is this so important? The answer: “the people that you have around you are your biggest influence” (RJ Mitte). 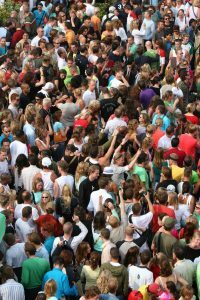 Since you are a running average of the people you most interact with, you need to be cognizant of who these people and groups are. If “leadership is influence” (John C. Maxwell), seek to be influenced by the best, and you will find yourself in good company. MEDICINE & MACULA: Check out one of our recent publications, Acanthamoeba endophthalmitis after recurrent keratitis and nodular scleritis. Acanthamoeba species are ubiquitous free-living protozoa and are usually responsible for corneal disease. 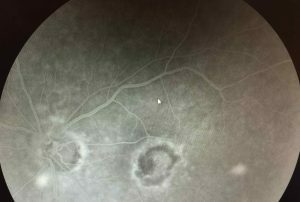 We present the first case with confirmed involvement of Acanthamoeba in all ocular layers, including choroidal involvement. 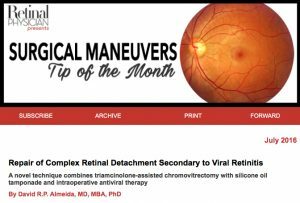 Thank you Retinal Cases & Brief Reports for publishing our case! Check out the study here. TASK AT HAND: This week I’m thinking about triage. In medicine, triage is the process of assigning degrees of urgency. In any hospital Emergency Department, you will find a Triage desk that functions to grade the severity of your ailment. Triage decides if your problem is an emergency (must be assessed and resuscitated right away), emergent (needs assessment very soon), urgent (important but can usually wait some amount of time), or nonurgent (can wait). An emergency has the potential to kill or seriously harm your patient and needs to be addressed right now. An emergent condition has the potential to inflict significant morbidity and cannot be delayed any significant amount of time. An urgent state needs to be assessed but usually lacks immediate temporal gravity. 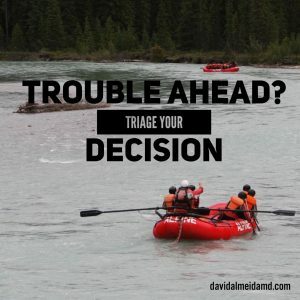 Over the years, I have found that you can apply this same triage process to decision making. One can formulate strategy by triaging decisions and prioritizing subsequent actions. Whether you are taking inventory of personal sentiments, deciding on a strategy for an ambitious project, or developing a new idea, the ability to triage allows you to set priorities, execute strategy, and engage in effective delegation. The goal of decision triage is to emerge from the deluge of questions with a set of priorities aligned with your strategy. Clarity for success by means of deciding how to tackle multiple problems. I triage decisions using these same emergency principles: an emergency requires an answer or decision right now – no exceptions! I reply to all emergent decisions within 12-24 hours. For urgent decisions, I reassess later. Nonurgent matters tend to be delegated elsewhere. Try this next time you are asked to solve a problem or your input is required. If the issue has immediate consequences, deal with it straightaway. Don’t procrastinate and don’t delay. Is it emergent? If so, you have some time. Relatively urgent? 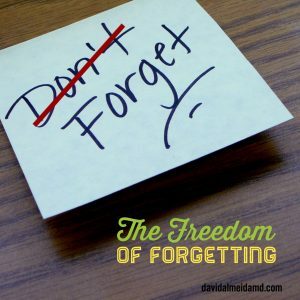 Maybe you can delegate this task or move it down your prioritized to-do list. In triaging decisions, will almost always find conflict and disagreement because, what to one is an emergency, to another is only urgent. What do you do when this occurs? Make sure you communicate clearly so that trust is built in your assessment skills. Lead by example and never trivialize the conflicts of others. When in doubt, have the best interests of others in mind. Selfish behavior is based out of insecurity. Act selfless and create value for others in your triage. This is a key principle of successful decision making. As the quote above emphasizes, the ability to decide deserves your judicial attentiveness. Decision making and strategy are topics we revisit frequently here on the Sunday Surgical Scrub and you can think of decision triage at the top of the algorithm. Once you decide on the priority of the decision, you can use the many tools presented here to resolve the crux of your conflict and put forward the best decision. 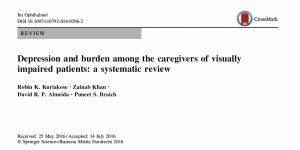 MEDICINE & MACULA: Check out our new systematic review pertaining to depression and burden among caregivers of patients with visual impairment. 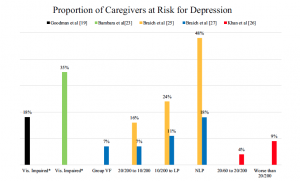 While caregiving allows those with vision problems to better adapt, it has been shown to take a toll on the caregiver on various levels, such as invoking depression and burden. Recognition of this is key for awareness, prevention and management. Thank you International Ophthalmology for publishing our study! Check out the study here. GRATIS: One last note on the decision triage system above. By frequently using this method of triage for decision making, I have found a wonderful unexpected side effect: I gain perspective by realizing that few things are a true emergency that require destabilization to correct. This calming vantage point will allow you to appreciate that many decisions – whether we like or not – are just not that important. Find those that are, prioritize them, and then successfully attend to them. 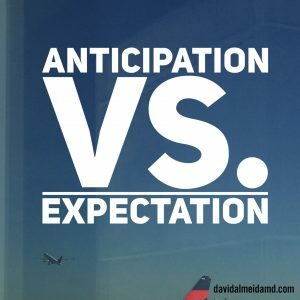 TASK AT HAND: This week I’m thinking about a couple of concepts that tend to get incorrectly used interchangeably: anticipation and expectation. These are two concepts that frequently occupy my headspace because they have a strong potential to influence outcomes. Anticipation is a fantastic moment that speaks to an aura of readiness. Much is possible in the moment of anticipation. It means you are getting ready, trying to comprehend, commencing an engagement with the road ahead. Anticipation is selfless. It does not expect anything. It possesses all potential for a future moment. There is no defined outcome in anticipation because all possibilities may exist in that sphere. 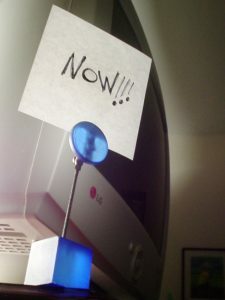 In decision making and problem solving, anticipation can be critical to highlighting possible outcomes; some would argue “wisdom consists of the anticipation of consequences” (Norman Cousins). Because anticipation does not define one expectation, you can consider all possibilities with an expansive vantage point. Think about yourself as a child, or think about your own children, waiting for an event. Anticipation is a seed that blooms into wonder because all is possible. Indeed, Andy Warhol tapped into this sentiment: “the idea of waiting for something makes it more exciting”. Anticipation will always have elements of surprise – an excitement that does not exist in most other forms of preparation. This keeps you engaged, tactful and ready. Now let us meet expectation – an endless source of exasperation and annoyance. Expectation is an irritant that can ruin many an event. With expectation, there is the creation of a specific outcome you predict or hope will occur, opening the door to disappointment. If your experience is less than your expectation, you are left disappointed. “Life is so constructed, that the event does not, cannot, will not, match the expectation” (Charlotte Bronte). So, the best remedy is, to discard these expectations. 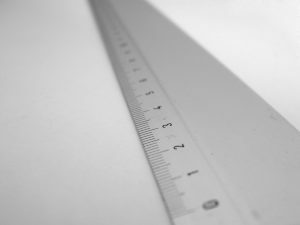 If you start with preconceived notions, for any encounter or challenge, you’re coming in with expectations that essentially define certain parameters of your experience, and consequently, degrade your experience. Avoid this! “Blessed is he who expects nothing, for he shall never be disappointed” (Alexander Pope). Change this behavior and assume the purity of anticipation. 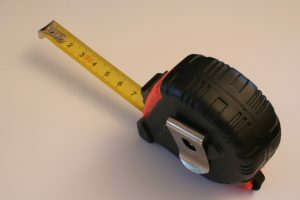 The examples are few – unfortunately – where your experience goes beyond your expectations so avoid the expectations that build resentment and create dissatisfaction. How do we apply this? Anticipate more and expect nothing! Anticipate. Be ready. Wonder at the possibilities. Anticipate the challenge. Try to focus on a current challenge and anticipate the possibilities and consequences. Let us not expect some single quanta from any experience. Some will say, “well, you’re just setting really low expectations.” No, I’m taking it one step further. I’m setting no expectations. I want the purity of the challenge that leaves me with wonderment from my subsequent experience. 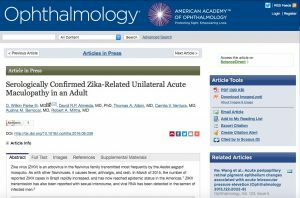 MEDICINE & MACULA: This week, for Medicine & Macula, I want to highlight our recently published paper on Zika-related maculopathy. We show posterior segment changes in a confirmed case of Zika in the hope of adding further knowledge to the growing spectrum of Zika-related pathology. Thank you Ophthalmology for publishing our case! Check out the study here.